During preseason football practice, numerous athletes fall victim to heat exhaustion and heat stroke, and some will even die. 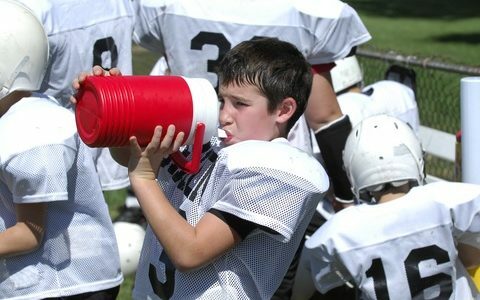 Most cases can be prevented through coach, parent, and player education and by following established guidelines. These guidelines include preseason physicals or medical clearance, proper hydration, heat acclimatization, equipment modification, activity modification, postponement/cancellation based upon wet bulb temperature index, and recognition/treatment. I was recently reading one of my favorite sports risk management publications, From Gym to Jury, and came across an excellent article that you can read by clicking on the link below. Source: Frederick Mueller, “Heat Stress and Athletic Participation, From Gym to Jury, Vol. 24, No 2.